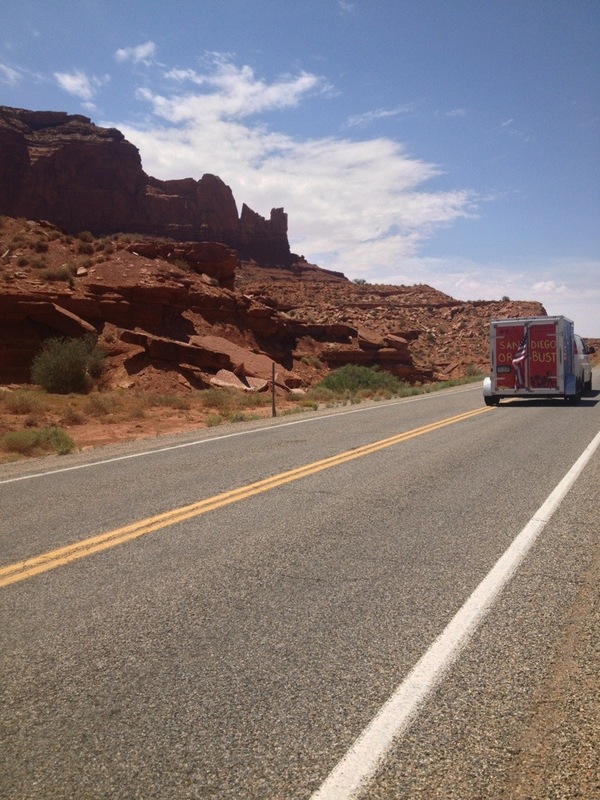 Day 53: Crossing another state line… Bluff, Utah to Kayenta, Arizona! It was exciting to get to a new state for the second day in a row, but what was more was the prospect of meeting up with another B&B team!! 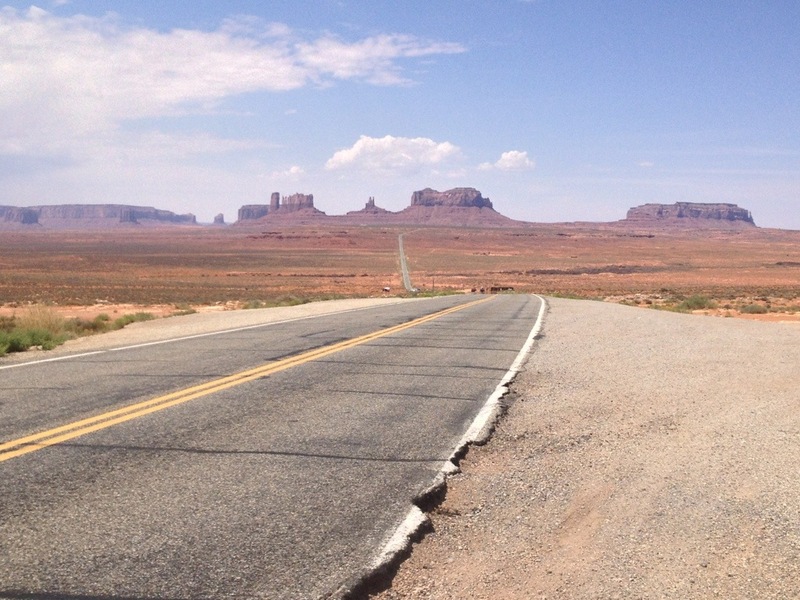 The Southern US route (SUS’13) would be riding to Kayenta as well and would be staying at the same host site! As pumped as we were, we were also wary of the situation… We had heard that in years past, B&B teams had not gotten along well. I think this often comes from differing rules that each team chooses to follow (there’s a basic outline of B&B rules for all teams, but some teams enforce these rules more so than others). 1. We NEVER eat peanut butter and jelly. Ever. We eat gourmet meals every day. 2. Meegan’s parents are “high up” at Best Western, so we stay in hotels at least once a week. 5. We ALL have MRSA. 6. We get 4 lunches a day because we have so much food. There were many more, none of which we actually played on them. It turned out they had similar ideas for playing pranks on us. So what we’re learning about our group on Navaho nation land (basically the desert) is that you either love it or you hate it. I hate it. It’s hot, there’s no shade, and it’s just mounds upon mounds of dirt everywhere. That being said, I did find some beauty in this day. I rode with Amelia and Gerk in the beginning, and we tackled some serious hills together. 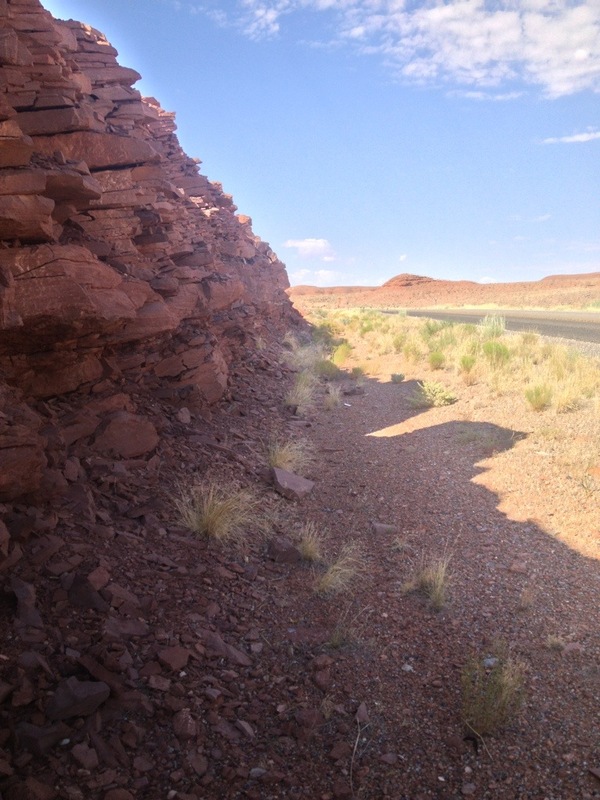 Despite the fact that we thought the desert was flat, it is most definitely not. 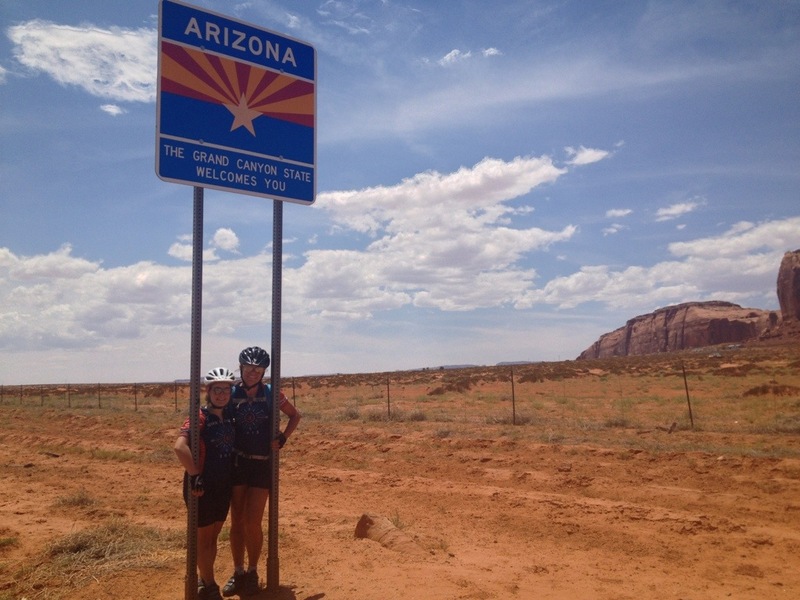 We did get to bike through a town comically named “Mexican Hat”. This was because there was a rock on top of another rock structure that vaguely resembled an upside down sombrero. Amelia said “One day, that rock is gonna fall. Then what will they have?”. I ended up spending the afternoon alone on my ride. I think I was able to enjoy the landscape more by myself, and it was good to have some reflection time. I later caught up to some of my teammates right before the Arizona state sign, which was not the most impressive that we’d seen, but a landmark nonetheless. 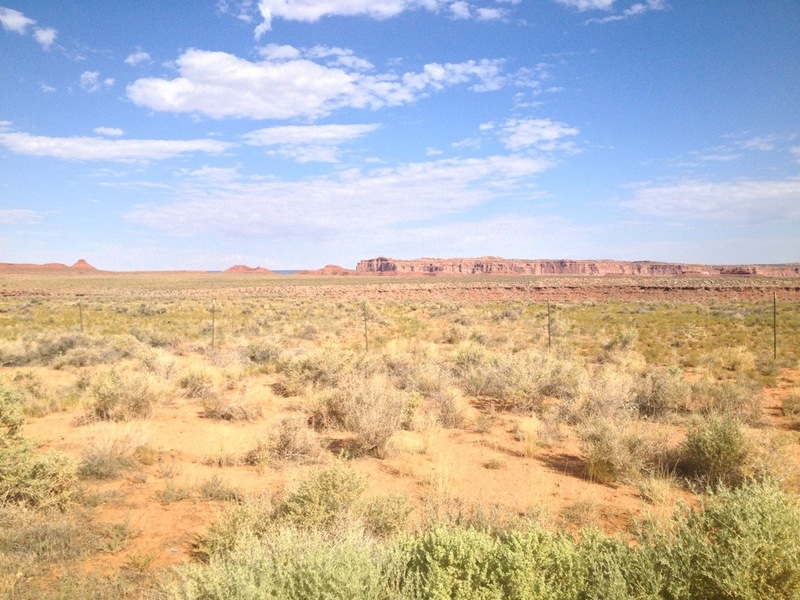 I cruised into Kayenta alone, in search of a place to get some water and maybe an ice cream come after riding through the heat. As I rolled in, I saw a rider in Bike & Build gear. Normally, it is safe to assume that it’s one of your teammates, so I waved and said “yeah biker!” the way we do when we see one another. This time, however, it was not an NC2SD rider… It was a SUS rider! I was reminded that we would meet a whole new group of Bike & Builders, with a totally new team dynamic. It made me both nervous and excited to meet them. We’ve been in such a B&B bubble, always together, practically attached at the hip. None of us know what’s going on in the news, and we never know what day it is. So to have another huge group of riders to interact with felt a little out of our comfort zone. 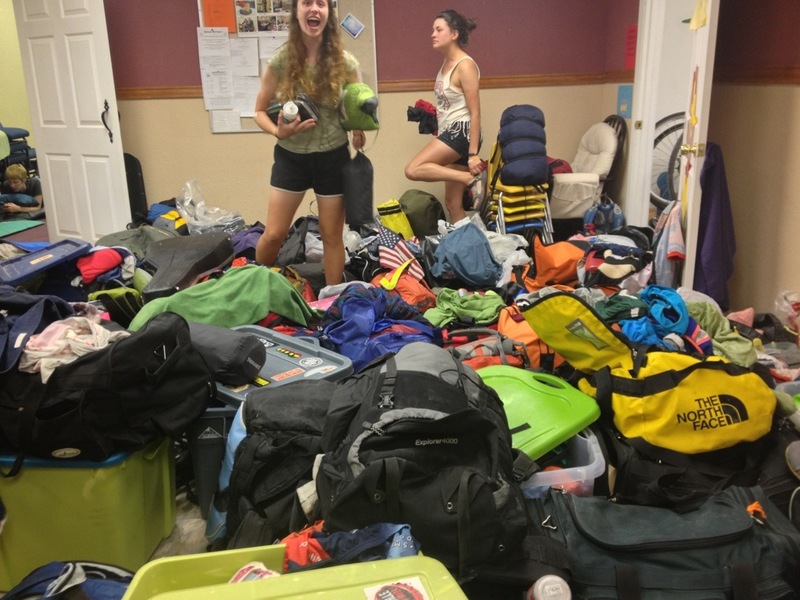 But when we got to the host site, the chaos of so many people, so many bikes and bags, actually made me re-energized to meet some new friends!! …because everyone in the B&B community is awesome and adventure-seeking by default. We ended up going to McDonald’s for ice cream and socializing. We basically took over this small McD’s in Kayenta. We played card games together and talked about funny/weird/quirky things that our groups do. It was SO MUCH FUN to meet SUS! We had a great time with them!! 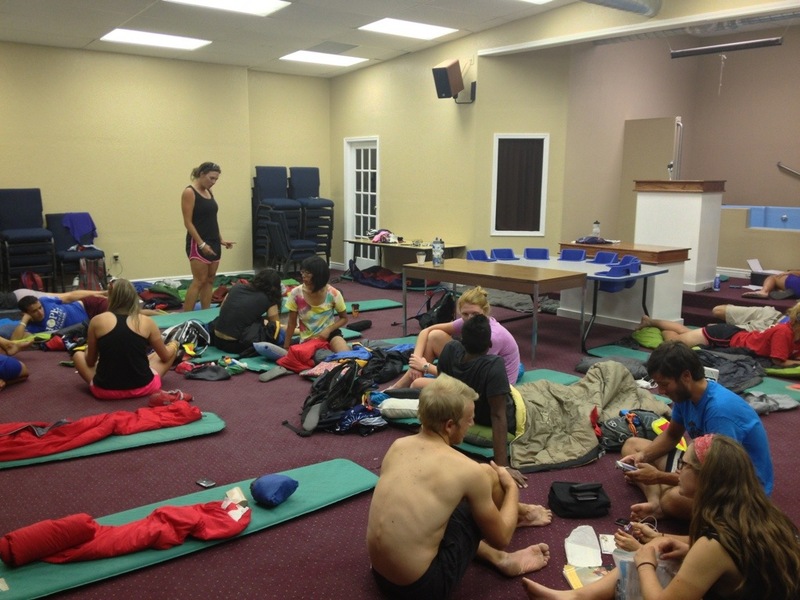 We crowded together in one room and slept side by side, packed like sardines. 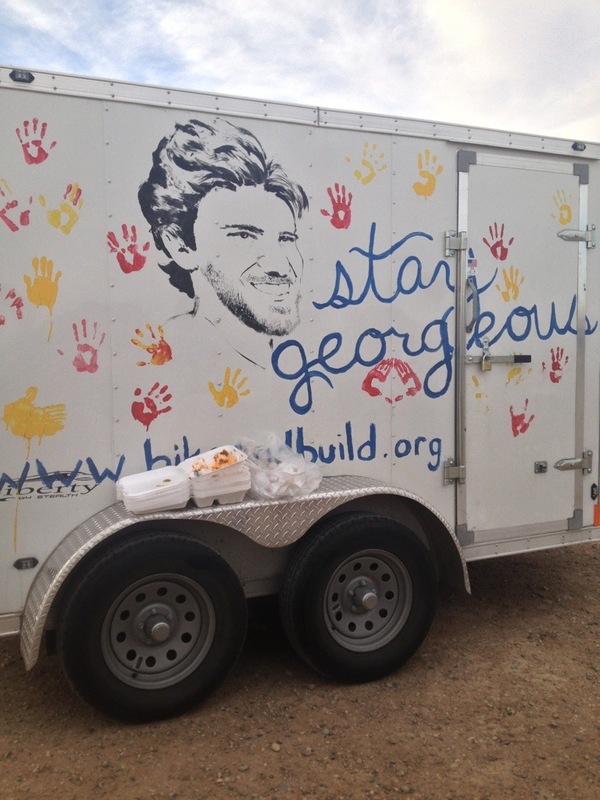 Oh yeah, and their trailer was named “Lil’ Kim”… They obviously named it after me. The painting on it is of one of their leaders!